Are you an SPG member? 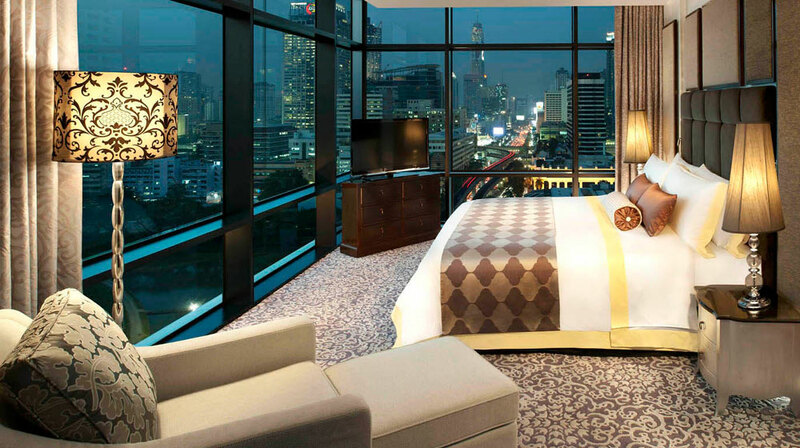 Here’s a selection of our preferred Starwood hotels in Bangkok. From Sukhumvit Soi 11 to Rajadamri Road, you’ll find the luxury hotel that fits your needs for your next trip to Thailand. When it comes to high-end luxury hotels, St Regis are always a nice choice. 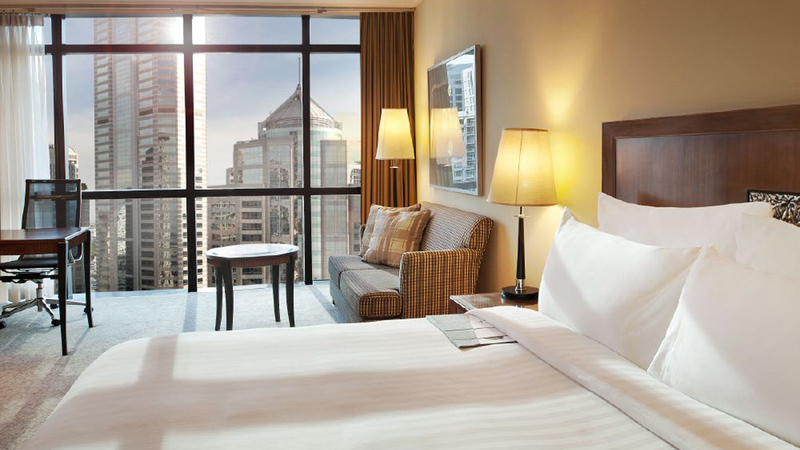 This one particularly: the St Regis Bangkok is an old-time favorite for us. Great service, amazing views, a direct access to the BTS and, although you have to pay for WiFi, it’s still our first choice in Bangkok. Business or leisure? Both please! 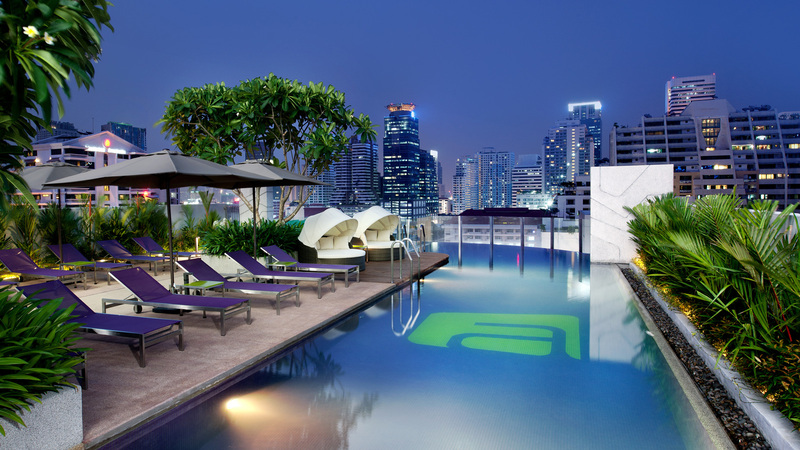 The Méridien Bangkok delivers all you can expect from this Starwood brand plus the unexpected avant-garde touche. Should we explain what you’ll get with a W Hotel? You already know and you’re a fan, or a hater. 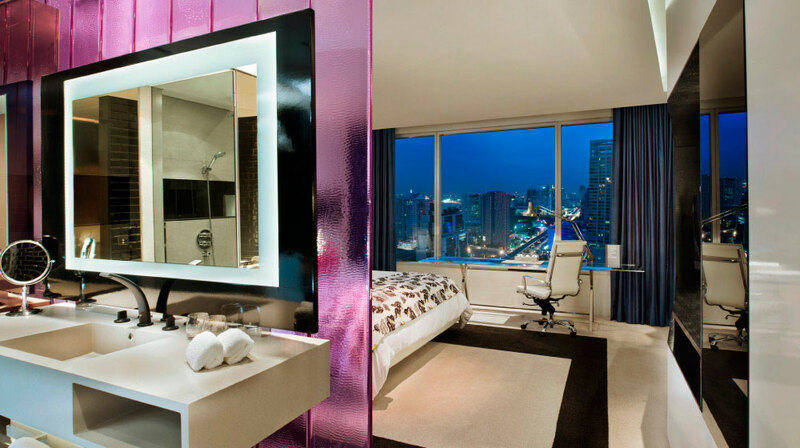 W Bangkok opened last year: will you give it a try? No, not like the Plaza Athénée Paris, no. Though this is definitely a luxury hotel in Bangkok (not that far from the St Regis). Even if you don’t stay there, consider heading for dinner at the Reflexions, the gastronomic restaurant of the Plaza. Starwood in Sukhumvit? Yes. Soi 11 is one of the busiest area in Bangkok – at least when it comes to night life (Bed Supperclub), hipsters bars and gourmet restaurants from different countries (you’ll find one great street food stall there, too). Aloft looks and sounds like a W’s small brother. go there to party. Do not book there if you’re a quiet businessman/ woman.